The purpose of this special issue of Aphasiology is to honour Dr. Audrey Holland and her prolific research and clinical achievements over the past 50 years. 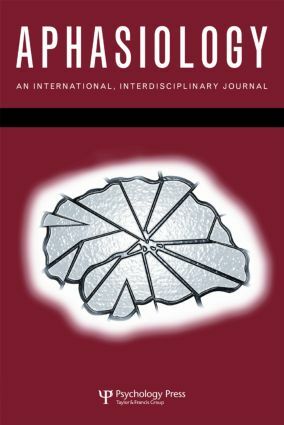 The issue has been constructed to exemplify the breadth of Dr. Holland’s influence not only in terms of research topics (e.g., aphasia, dementia, research methodology) but also geographic span, with contributing authors from around the globe. All contributors, some former mentees and others contemporaries and collaborators, have been similarly inspired through their interactions with Dr. Holland to advance the field of neurogenic communication disorders, as is reflected in each of their papers. L. Murray, Issue Forward: A Tribute to the Quintessential Researcher, Clinician, and Mentor: Audrey Holland. Curriculum Vitae of Dr. Audrey Holland. C. Pound, J.F. Duchan, S. Parr, R. Barrow, S. Byng,Working from a Modus Operandi: Themes, Changes, and Parallels in Research and Clinical Practices. J. Lee, R. Fowler, D. Rodney, L. Cherney, S.L. Small, IMITATE: An Intensive Computer-based Treatment for Aphasia Based on Action Observation and Imitation. A. Basso, "Natural" Conversation: A Treatment for Severe Aphasia. B. Armstrong, A. Ferguson, Language, Meaning, Context, and Functional Communication. L. Worrall, K. Brown, M. Cruice, B. Davidson, D. Hersh, T. Howe, The Evidence for a Life Coaching Approach to Aphasia. G. Youmans, M. Bourgeois, Theory of Mind in Individuals with Alzheimer-type Dementia. A. Kagan, N. Simmons-Mackie, J.B. Gibson, J. Conklin, R.J. Elman, Closing the Evidence, Research and Practice Loop: Examples of Knowledge Transfer and Exchange from the Field of Aphasia.